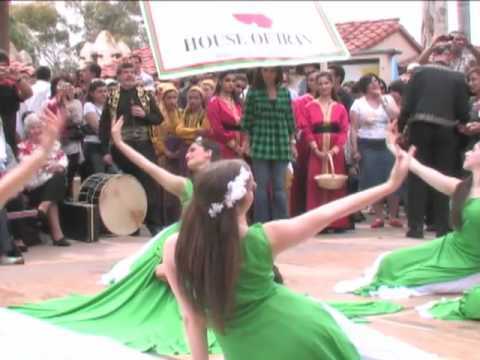 Since the celebration of the New Year (Nowruz) is the biggest and most important holiday for the Persian people, the events in Balboa Park are very extensive. In their beautiful new cottage you will find a lot of the traditional artifacts and Persian hospitality starting at 12:00 noon. Added to these are season flowers that begin with “S” as well. Sonbol (hyacinth) and Sussan (lily). Sekeh (coins) in water for purification and prosperity, colored eggs for fertility, a bowl with gold fish life and sun changing from the constellation of Pisces to Aries, a mirror – reflection of creation, candles – enlightenment. The festivities continue until 5:00 pm with a D.J. playing and dancing and having a good time.